The Castle Hotel at Bishop’s Castle has been welcoming travellers since 1760 and today offers a choice of three bars, some with open fires, some with terraces out into the garden. Or try our oak panelled restaurant, believed to feature in the Mary Webb novel "The House in Dormer Forest". And when the weather is warm, (and remember it’s always sunny in Shropshire), our beautiful south facing gardens provide the perfect spot for a light repast and a cooling beverage. Our 18th century coaching inn boasts thirteen lovely bedrooms, all en-suite and suffused with that elusive “away from it all” feeling. 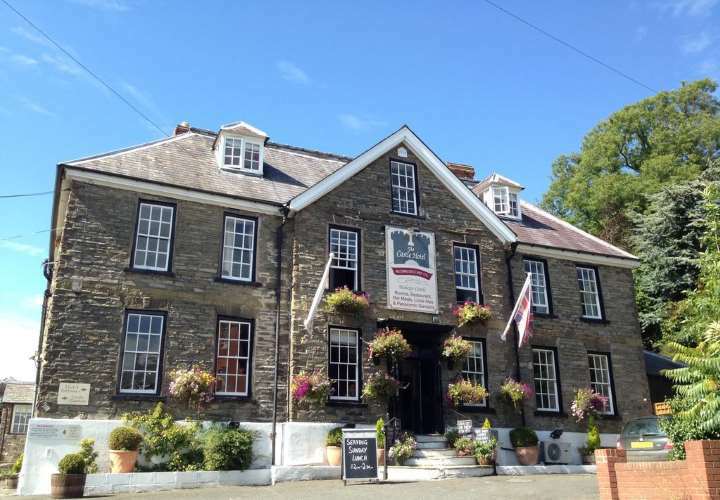 The Castle Hotel is graded a Four Star Inn with an extensive wine cellar, supplemented by some fabulous award winning local vines from the Kerry Vale Vineyard, located just up the road from The Castle Hotel. Perched almost a thousand feet up, this beautiful silver-stone Georgian rectory is situated in the Shropshire/Welsh hills, an area of unspoilt natural beauty. Set in five acres of grounds, the Hotel prides itself on its unobtrusive hospitality, first-class fresh and healthy cooking and an easy-going atmosphere that guarantees that "away-from-it-all" feeling. Pen-Y-Dyffryn offers superb accommodation including some bedrooms with private patio and a Superior Bedroom with a double spa/whirlpool bath. Sawday’s Special Places 'Favourite Hotel Award' 2016, The Good Hotel Guide's 'Best Walking Hotel 2016' and 'Rooms with a View 2016', AA Silver Star Award for superior guest service. 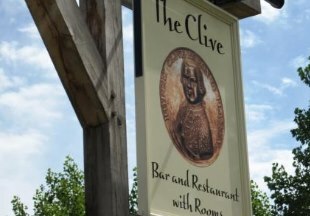 A former 18th century farmhouse, The Clive offers a unique blend of the traditional and contemporary. Renowned for superb modern British cuisine, with an AA Rosette and entries in the Good Food and Michelin Guide. The Bar offers less formal dining and a lighter menu. Located 2 miles north of Ludlow. 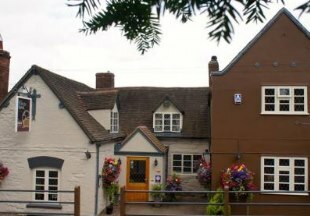 The 17th century Old Orleton Inn is situated on the western edge of Wellington and faces the famous Wrekin Hill, just off junction 7 of the M54. The Inn is a charming retreat with 10 boutique-style bedrooms, each unique in design and character. AA 5 Star Inn. Welcome to the 16th century Punchbowl Inn. Our great food includes carveries; we also serve hand pulled local real ales and fine wines in our bar. Warm yourself by our roaring open fires in winter. This lovely country inn also boasts superior accommodation. 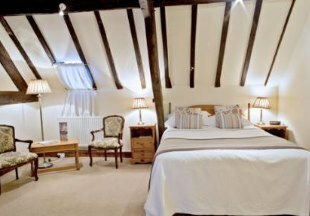 The 16th century Crown Country Inn is situated in a beautiful Grade II listed building with inglenook fireplaces and flagstone floors. Today it is a gourmet's delight, with chef-patron Richard Arnold having earned Michelin awards as well as being Shropshire's only "Masterchef of Great Britain", with listings in the Good Food Guide and Michelin Eating Out in Pubs Guide. The flagstone bar serves a selection of local and guest real ales. The Corvedale Restaurant, with its magnificent open fireplace, was in the 17th century the local courtroom. 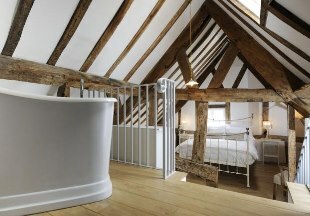 Our 3 en-suite guest rooms are set in an old Georgian stable block with free Wi-Fi. Close by is historic Ludlow and Shrewsbury, Wenlock Edge and Longmynd for walking. AA 4 Star Inn, AA Breakfast Award. 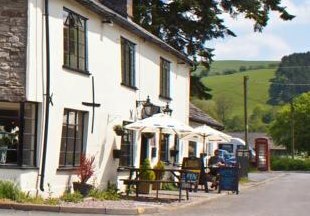 The Crown is a 17th century country inn nestled within the rolling Shropshire Hills in an "Area of Outstanding Natural Beauty". Offering Bed and Breakfast accommodation, excellent home cooked fayre, real ales and a great atmosphere, The Crown Inn is the perfect location for a peaceful getaway retreat in the country. 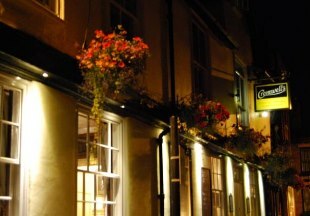 Set amongst the maze of Shrewsbury’s medieval streets, Cromwells provides a delightful historic setting. With a beamed bistro and wine bar, an oak-panelled restaurant, a beautiful walled garden and quirky, unique bedrooms – we have everything you need under one roof! Our pursuit of excellence doesn’t end in our wonderfully refined and well-appointed rooms. The hotel restaurant serves fine seasonal cuisine and a wide range of wines, beers and local ales is available. Welcome to the Lion and Pheasant Hotel, set in a stunning, Grade II listed, 16th century building in the heart of historic Shrewsbury. The hotel is justly proud of its great food, awarded 2 AA Rosettes. The three bars also offer local ales, fine wines and cocktails. 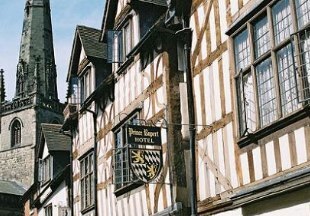 The Prince Rupert Hotel is in the heart of Shrewsbury, surrounded by narrow streets and timbered buildings, a short walk from the town's many historic attractions. Once the home of Prince Rupert, the grandson of King James I, the hotel is widely recognised as the town's finest and dates back to the 12th Century. The hotel offers a choice of restaurants, a garden courtyard and beauty treatments available in the health club. The perfect base to explore this historic town. This charming 16th century Inn is just five minutes drive from Oswestry in the historic Shropshire village of Whittington; its six en-suite guest rooms enjoy stunning views over Whittington Castle and Moat. Sample our real cask ales, home cooked lunches and evening meals whilst soaking up the friendly atmosphere of this traditional inn. 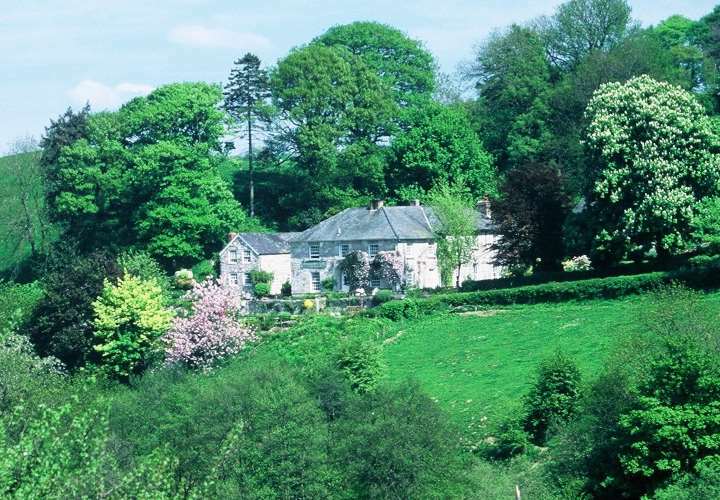 Browse our handpicked selection of hotels and inns in Shropshire. Situated on the border with Wales, Shropshire has many historic sites which bear testament to its turbulent past, including the castles at Whittington, Clun and Ludlow. It is also home to Caedfael's Shrewsbury, historic Ironbridge and the gourmet capital of Ludlow, to name but a few of its attractions. Shropshire is a beautiful county, famous for its pretty black-and-white market towns and lovely countryside. Many local pubs, inns and hotels will be happy to accommodate walkers (and their canine companions!) and will be able to advise on the best walking in the area. Explore Offa's Dyke Path which passes through Shropshire, or walk the Shropshire Way around the Shropshire hills. 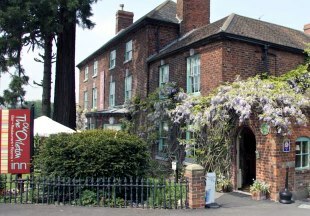 We have selected what we consider to be some of the best hotels and inns in Shropshire for the perfect stay, whether you are walking, touring, visiting historic sites - or just here for the food! "Ludlow is a beautiful black-and-white market town, nicknamed the 'Gastronomic capital of Shropshire'. You don't have to stay in Ludlow though to experience great food: The Castle Hotel offers excellent DB&B deals and the Clive Restaurant with Rooms, the Peny-Y-Dyffryn Hotel and the Lion and Pheasant Hotel in Shrewsbury all boast 2 AA rosettes for the quality of their food." Shropshire is bordered by Cheshire, Staffordshire, Worcestershire, Herefordshire and Wales. 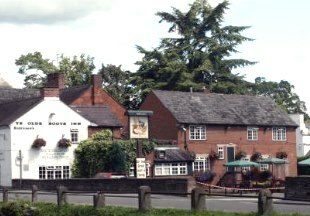 If you want to widen your search, why not browse through our selection of hotels and inns in Cheshire, Staffordshire, Worcestershire, Herefordshire and hotels and inns in Wales.